Guggenheim started building-less. It was an institution bound together by a passionate, singular way of seeing the world: non-objective art. As it has grown, the singularity of its cause has become a plurality and the identity of the museum is no longer attributable to a single movement of art. Eventually, its identity was culturally entrusted to the building it occupied. This occurred not once, but twice; in New York with Frank Lloyd Write and again in Bilbao with Frank Gehry. As the franchise continues to expand, these kinds of singularities are not sustainable. To address the need for multiple Guggenheim's in multiple places, a strategy is needed to "re-Guggenheim" Guggenheim for each locale. Our proposal is a tactic of cultural amplification; the act of giving the institution over to the place it occupies. Seen as a prototype for future Guggenheim's where identity is generated from the DNA of the place the building occupies rather than an architectural tour-de-force. 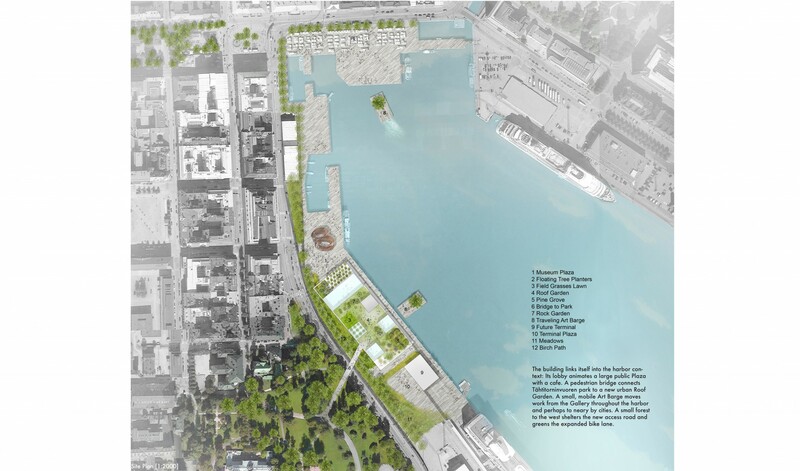 Our proposal share the DNA of Helsinki, amplifying its definitive characteristics of place and culture; ART + NATURE. The character of our proposal is ever shifting and difficult to define. It delineates a thin line between what is man-made and what is not. Our ability to describe what makes us human is our ability to articulate how unnatural we are. 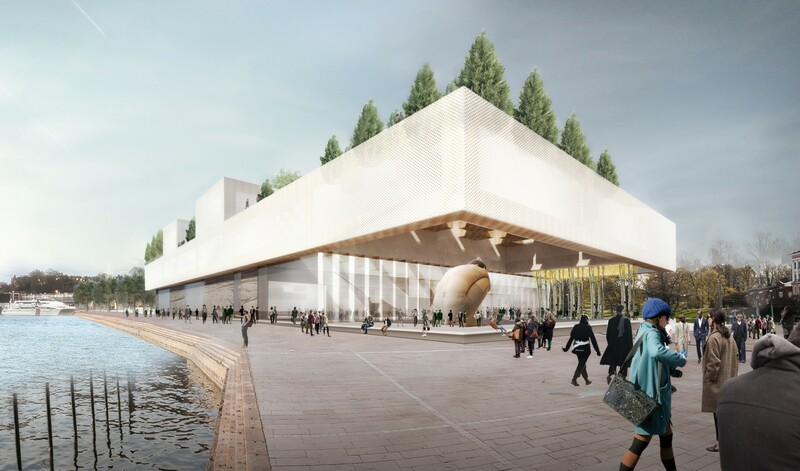 It is within this paradox that we design a new Guggenheim for Helsinki. Our ambition is to extend the Guggenheim's successes by engaging the civic realm into an iconography that compliments man-made with nature. 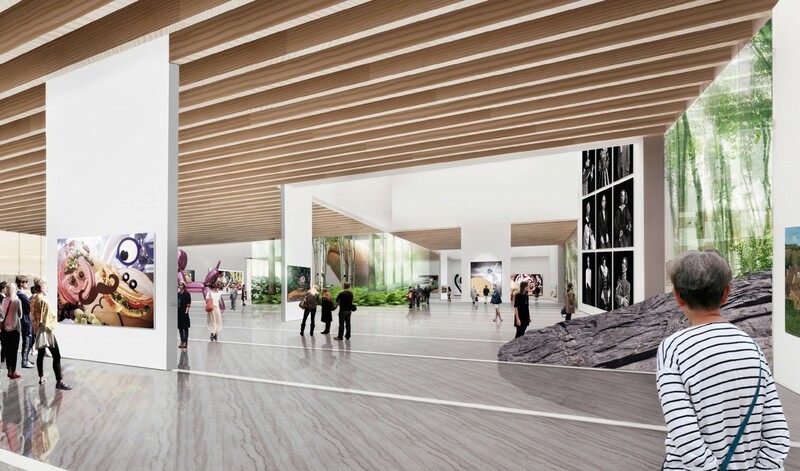 By creating a culturally and regionally specific museum, Guggenheim Helsinki offers an opportunity to redefine our relationship between city and park. 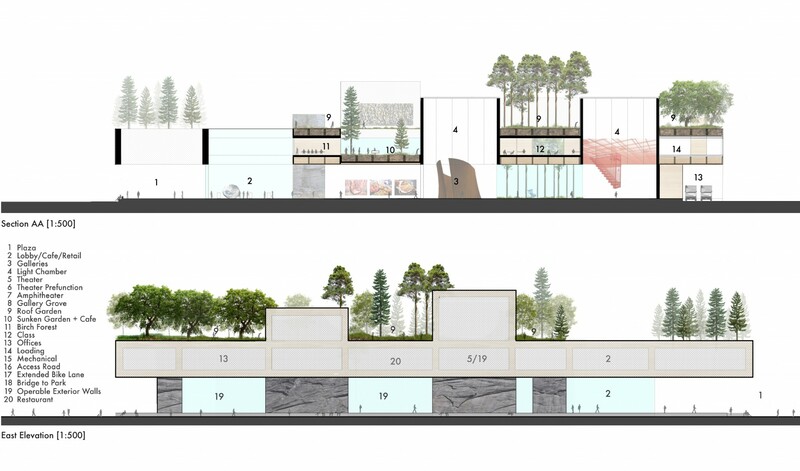 Our proposal integrates itself into the contemporary efforts of extending the Finnish National Park system into the city. Newly planned 'Urban' National Parks preserve, promote and introduce wildlife corridors throughout Finnish civic space. 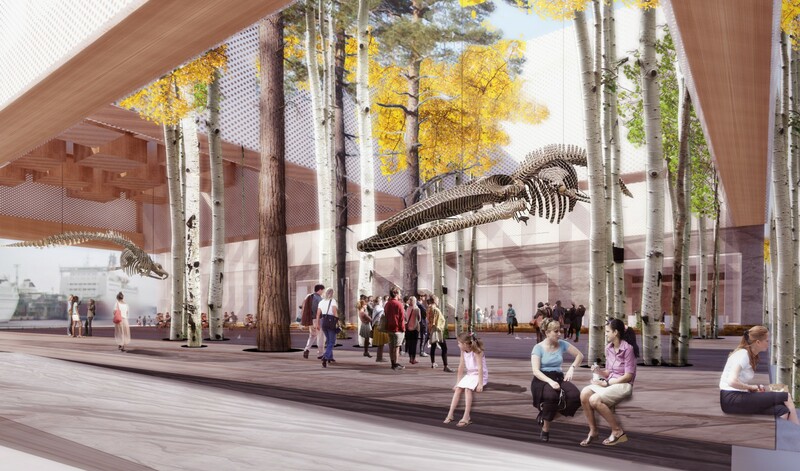 This 'Urban' addition to the National Park system challenges the typical definition of our proposal. The system is a force seeking out wilderness in unexpected places. 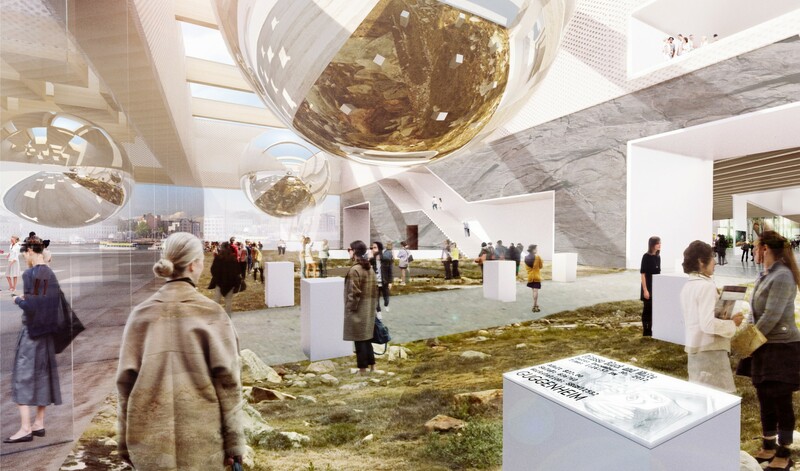 A naturalized Guggenheim Helsinki will link into this new urban/park phenomenon. 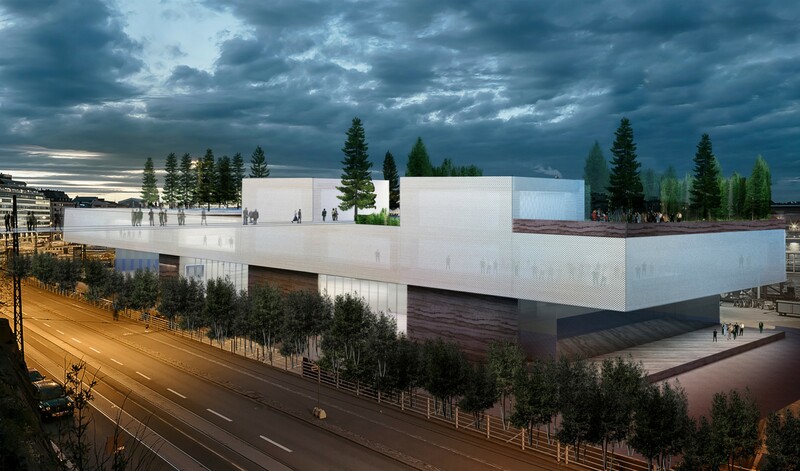 Situating art in Finnish landscape while creating a world class exhibition venue, the architectural gestures are discrete and purposeful, challenging the boundaries that typically define an art museum. Through a series of surgical interventions, the new Guggenheim Helsinki creates unexpected juxtapositions between the multiple scales of the city, the park, the museum and the viewer.